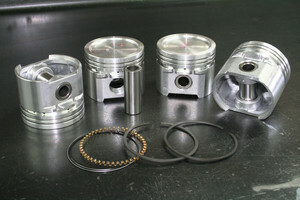 10cc dished top piston set. These pistons are manufactured for race use so are more than adequate for any application, allowing up to 13.5:1 CR to be used (with suitably altered distributor advance curve). 9Cc dish.